Where is Windows Explorer? - Ask Leo! Windows Explorer is everywhere - yet finding Windows Explorer on the Start Menu is actually fairly difficult. We look at where Windows Explorer is, and some of the many other ways you can get to it. Windows Explorer is both the hardest to find, and the easiest to find program there is. There are several ways to get it, and all of them are really, really easy. It’s just that none of them are obvious. Not obvious, but that’s typically where you’ll find it. And for what it’s worth, I never, ever, use that location. There are several ways to get it, and all of them are really, really easy. If your keyboard has a “Windows Key”, then Windows+E brings up Windows Explorer. Right click on My Computer, and click on Explore. Click on Start, then Run, and enter in a folder name, like “C:”, and click OK – that will open up Windows Explorer (without the left hand navigation pane) on that folder. Click on Start, then Run, and enter in “explorer /e,c:folder” where “c:folder” is replaced with the folder you want to view. This is roughly the same as the previous point, except that the left hand navigation pane is visible. A click on that menu item, and the mp3 folder on one of my shared machines opens up. Just what are Windows 7’s “Libraries” and how do they work? - Libraries are a feature added to Windows 7 that allow multiple folders to viewed as if they are one. It's not new, but it can be very confusing. Changing Windows Explorer Settings - Windows Explorer is a ubiquitous and under-appreciated component of Windows 7. I'll look at some settings I recommend changing if you're a frequent user, and include a bonus tip that can sometimes speed up Windows Explorer's start-up. « Previous post: How Do I Connect My Desktop to the Nearby Wireless Internet WiFi Hotspot? If I would use it, I would open “My Computer” conveniently placed on the Start Menu and just click the big folders icon to show the left hand pane. I think Microsoft were trying to persuade people to switch from using the “Explorer” view to the “My Computer & Tasks” view. I don’t know why everyone makes this a hard problem. Explorer.exe should be in the Windows folder of the C drive. Just search for “explorer”, make a short cut, and place it in the Start menu. I need your address to send a bloched-up thing I did. Misplaced your address. Help! How many explorer.exe are there in your Windows folder? The above article was informative. I have a file/print server running ME that has been trouble free, except for a blank left pane in Windows Explorer and My Computer. I have tried a number of different run command parameters but no cigar. I suspect a registry problem but haven’t a clue whick entry to look for or how to make the left pane show up. Any ideas? Hi Leo, I tried opening Windows Explorer to access an ftp file but couldnt do it. When i go to windows explorer n type the ftp link it gives an error msg and nothing moves after that. Please help. Internet Explorer can do ftp transfers. After typing the address in the bar, the drop down menu (I think under file??) gives the option to allow ftp. After that, and signing in, it should be listed in your network places, and just double click. It seems to be a very long ordeal but i guess its for our own good. Did you try all of the techniques to start Windows Explorer that were discussed in the article? Windows Explorer is not something you buy or download – it’s a part of Windows itself and is already there. Is it possible that Windows Explorer may not be on your computer? So how can you find something that is not there to begin with? Do you have a “Start” button? Then you have Windows Explorer. (It’s the same program that provides this functionality as well.) It’s highly unlikely that it’s not there. I have a great problem…the “start” button is NOT on my computer…somehow I cannot run explorer. no idea what to do…help! I don’t find anything resembling “Explore” when I right click on MyComputer. I do find shared documents, jim’s documents, local disk, 3.5 drive,nero scout, my sharing files, and hp printer. Similarly, if i use the Window Key + E, i cannot find the folder (System Drive) that i’m looking for. My problem is i added critical upgrades to XP Pro and my outlook express will not longer open. MS sent me to http://support.microsoft.com/kb/873021 to fix this, and i got finshed down to #6, inclusive, but now i can’t find “systemdrive” in windows explorer to finish. i do see program files, but i’m worried it’s not the same thing as systemdriveprogramfilesoutlookexpress, which is what i’m supposed to edit next. thanks for allowing such a long explanation. I’d say you probably need to either run the System File Checker, or perform a repair install of Windows. Simplist way is to right click on the START key and select explorer (usually the 2nd ent down). Unfortunately it’s rarely that simple. The initial menu displayed by the Start button is often very different for different people, and portions can also change over time. If it’s there, great, but it may not be. View menu, check the Status Bar item. dear mr.Leo ,I cant open any documents and files in my new labtop with windows vista,everytime i want to open them ,it comes up with an error saying that:Windows Explorer has stopped working ,check for online soloution!but theres no soloution,what can I do? Pet Peeve: it’s a laptop, not a labtop. If Windows Explorer is crashing on you like that it’s likely that you’ve been infected with a virus, or Windows itself has become corrupt. You can try the System File Checker, but I think you’re probably headed for a reinstall of Windows. I have problems with windows explorer. i can only open it by opening the shortcut in help and support.and even then it does show correctly on the toolbar, it shows up as “system” etc…I confess i might have deleted my desktop windows explorer link when i had a virus attack. what can i do to get it back and in the right place? ?ps am a bit of tech novuice so keep it simple please. I have opened windows explorer and need to go to ‘tools’ but I can’t seem to find an option anywhere. Just wondering how I could find it. P.S I have a windows7 hp laptop. right, i have tried the ways above to open windows explorer, but i dont have a ‘windows’ key, it wont let me right click on ‘my computer’, and there is also no ‘Run’ button so i cant use any of the following ways to get into windows explorer! please HELP!! Hi, I was using Windows Explorer and it just disappeared off the computer. I downloaded Google onto Favourites and then put it on the start bar. But how do I get Windows Explorer onto the start bar again? Where is Windows Explorer ! ? I have tried all above but is still struggling to get it ! How do i get free windows explorer to download and show up on computer????? Read the article. You don’t need to download, it’s already on your machine. Where can I see and keep windows explorer on my desktop, I use xp, but cannot find windows explorer on my pc. I need to find notepad for something, and been told to find this through explorer. After you find Explorer in the first method you show, right click on Explorer and drag it to the desktop. Select “Copy Here”. Then you will always have a desktop icon to open Explorer. Thank you so much, I don’t have a problem but my daughter (who has my old computer) couldn’t find windows explorer, this has made it easy for me to tell her how to find it, I knew it was there but. . . . . I had no trouble finding the file I wanted in Windows explorer, but I need to uninstall the file that’s there and it’s not giving me that option. 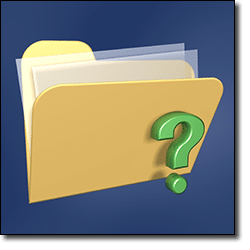 What is the best way to delete an unwanted file from Windows Explorer? If you mean uninstall the program, go to control panel, Programs, right click on the program and click on uninstall. If you mean delete the file you should be able to right click on the file and click on Delete. What happens next depends on the specific file – some, for example, should not be deleted. I use Unlocker Assistant. It’s free and it often works when MoveOnBoot fails. when I click on Window Explorer (WE), a new tab will appear behind the WE icon at the foot of my screen. It will NOT expand to a proper screen even after I clicked on the tab. Appreciate your help. -have an IBM T43 (2005) thinkpad. -found windows explorer in accessories, as you said. Thank you. Please tell me what to do to get this W Expl and be able to use it, as soon as you can. -my objective is to get to an ftp address. please tell me how to get there or how else to get to my information ? Windows Explorer does not have ftp support. I think you mean to use your web browser, Internet Explorer. I’m not exactly sure what you want to do, but I suggest you type the ftp address into your browser (Internet Explorer not Windows Explorer). This should go to the ftp address. Click that Add a Network Place menu item to get a new window, the Add Network Place Wizard. Now click “Next” twice and in the “network address” give the FTP site (beginning ftp://) normally on the next page you UNtick the apparently default-ticked “Log on anonymously” and then give your logon username and eventually, when you go ahead and connect, password. When this has worked you now get a window that LOOKS exactly like a Windows Explorer window, with “Other places” in the left hand pane and shows in the right hand pane the relevant folder/directory of the FTP site to which you have logged on, just as though it were on your machine. However, I will give Leo this: the title bar contains the URL (netweork path, in other words) “ftp://…” and after that it says “Microsoft Internet Explorer”. But this isn’t a browser window; as I say, it looks identical to a Windows Explorer window, with a view menu bar item that offers thumbnails, tiles, icons, list and details — everything exactly like your normal local Windows Explorer window. The only MSIE thing about it is the fact that the folder whose contents you are looking at is on an FTP server somewhere and the words that follow the address in the title bar. I have just done this for the first time after using XP for up to ten years and CuteFTP and others for about as long. Yup, it’s there. To put a file up you to a copy and paste just as you would to copy within your own HDD folders or on a Windows LAN. It works. As I say, it LOOKS like Windows Explorer; the only “IE” thing about it is those two words in the title bar. So, in a way, this is actually another case of “Windows Explorer is everywhere”, and I hope you find it helps. The question of which Microsoft program this is an instance of could be considered quite sensitive legally. There was, I seem to recall, a court case in the USA with the Justice Dept. and Microsoft related to the bundling of Internet Explorer with Windows so that other browsers had an unfair disadvantage some time back. I have Windows 7 and recently my Windows Explorer keeps closing down, looking for the problem, and then restarting. How can I overcome this problem?? I thought it would be cool to add explorer to the sendto right click menu, by adding an explorer shortcut to the sendto folder, so that instead of opening explorer I could just right click on files to move them to places, but when I select the explorer short cut in the sendto folder it simply opens the file (the same as a double click or “Open”) rather than opening explorer. Also by the way I found explorer.exe using Google Desktop which I still install into even Windows 7 (or 8) because I find it more convenient than Windows indexing. hi leo….I’m getting a popup from windows explorer stating “you’re running out of space on local disk (F) and to click (here) to see if clean-up can be done. I have no idea what local disk (F) is . when I click OK to start the clean-up nothing happens. Pls.advise. Disk F: in this case, sounds like it might be a system reserved partition. If that’s the case, you can ignore the message. Typically it’s a recovery partition that you can safely ignore. For the first time ever in my Windows 7 Pro on my desktop the full, complete Windows Explorer Program Menu has disappeared. When I click on the W.E. icon now all I get is a pop-up labeled “Libraries” with the various elements boxes in it. How do I get rid of that—-and get back to my normal pop-up that has the full Program Menu displayed, I believe with yellow-toned box around it ??? Can you submit this via https://askleo.com/ask please. I’ll need a screen shot I think, and *after* you submit your question we can get one. thanks.